Hello there! I took a couple months off from crafting/blogging while moving into a new home, traveling, and spending time with my family over the summer. 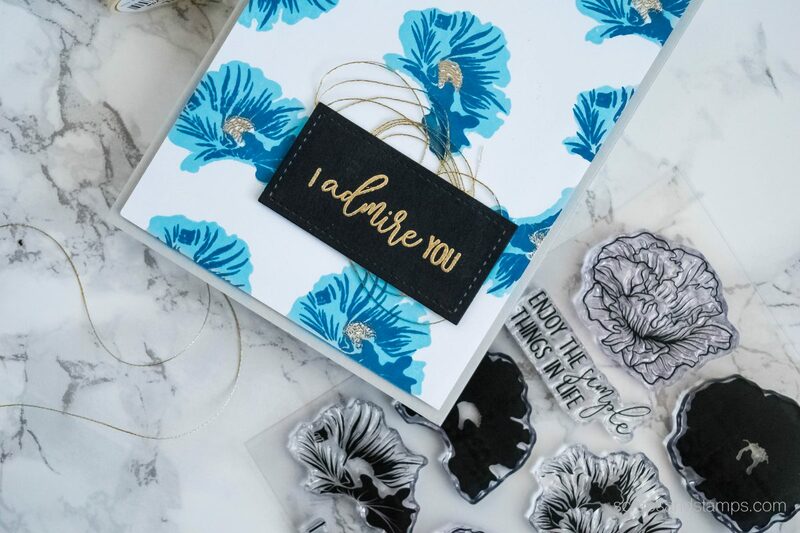 I am so glad to be back to making cards, stamping, and sharing new projects with you guys! 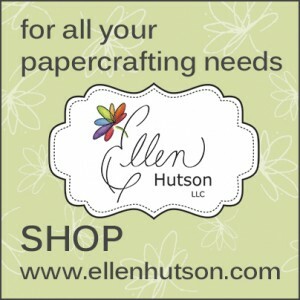 There are so many things happening in the crafting community this year, and one of my favorite things is Ellen Hutson’s “United We Flourish” releases each month! 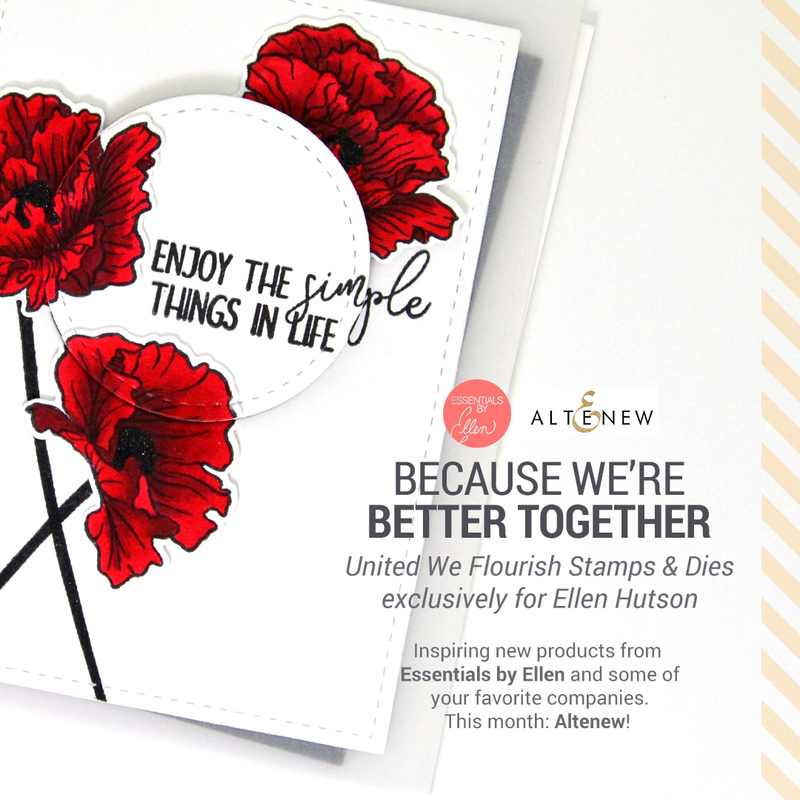 This month, Altenew is teaming up with Ellen Hutson and releasing this amazing “Poppy Fields” stamp and die set! It is so amazing to see two awesome companies come together to bring out a unique product that all of us can enjoy. So to celebrate this fun collaboration, many great designers are joining the blog hop and I am one of this special hop. So glad you are here! If you came from Heather’s blog, you are right on track! If you are just starting, no worries – you can just hop along with us until you make a full circle. 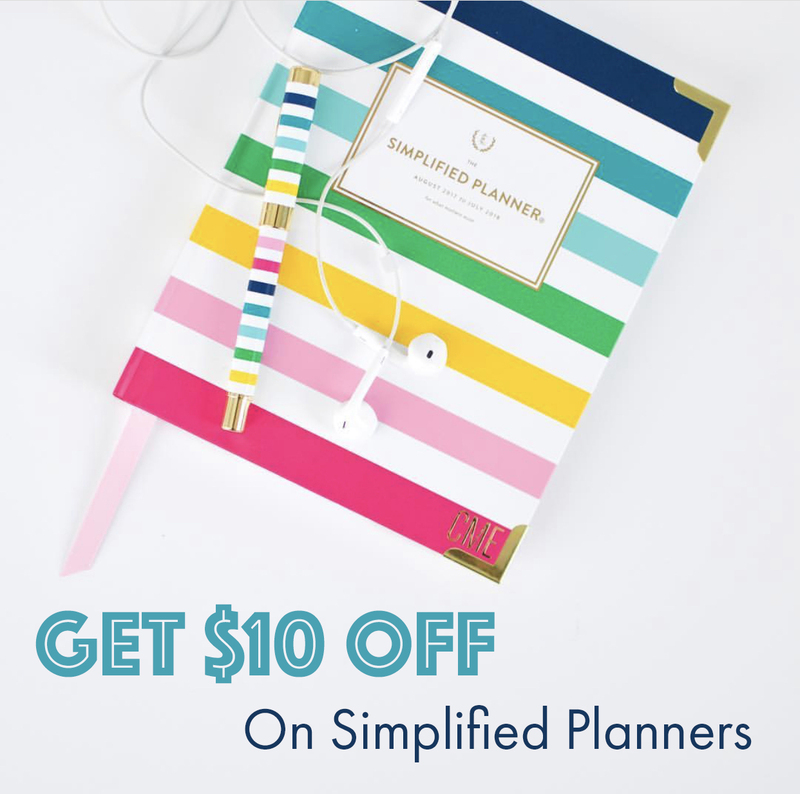 There is also GIVEAWAYS going on during this blog hop, make sure to scroll all the way down to see details on how you can win some gift certificates! 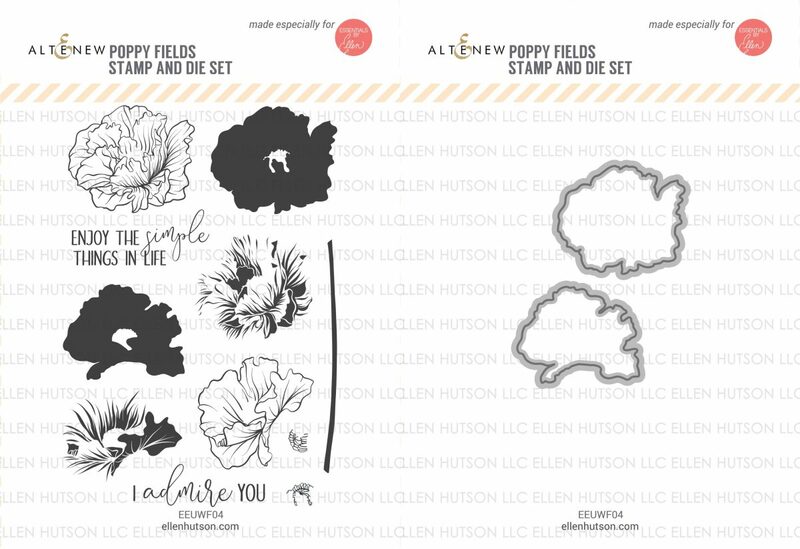 The Poppy Fields stamp set features amazingly beautiful and sophisticated layering images to create realistic poppies- So for today’s project, I played with 2 of the layering images (solid and the partial image on the left bottom of the stamp set) and added a hit of gold embossing. Achieving this look is very simple. I used the Turquoise ink and the Starlight ink from Altenew – these are a part of the Deep Blue Seas color family, the newest blue colors they released back in July and I am just in love with them! For the center part of the poppies, I simply stamped the image with Versamark ink and heat set it using the Antique Gold Embossing Powder. The sentiment from the stamp set is also heat embossed in the same way, using the Jet Black cardstock. Just to pop out the sentiment, I added a bit of gold thread behind it and foam mounted the sentiment piece. 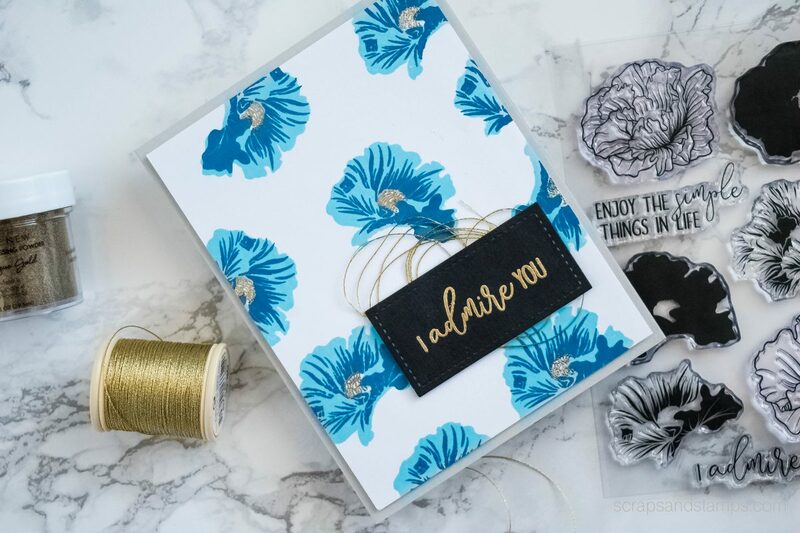 It is super simple and quick, and you have beautiful poppies on your cards! I hope you enjoyed browsing through my card for today. Don’t forget to check out details about the giveaways below, along with a full blog hop list. 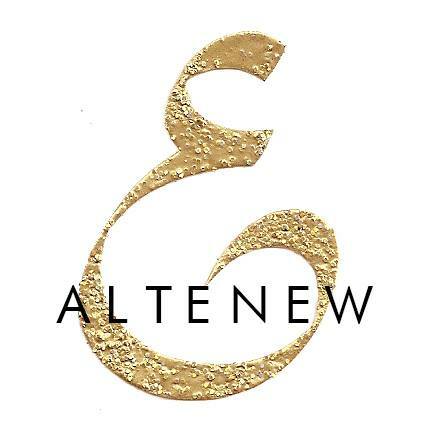 FOUR lucky winners get to win a gift certificate either to Ellen Huton’s online store or Altenew’s online store! 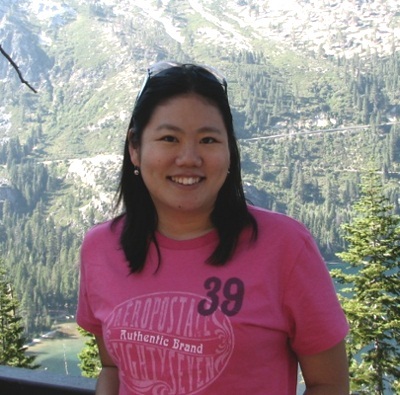 To be one of the lucky winners, make sure to leave comments on Ellen Hutson’s blog and Altenew’s blog. 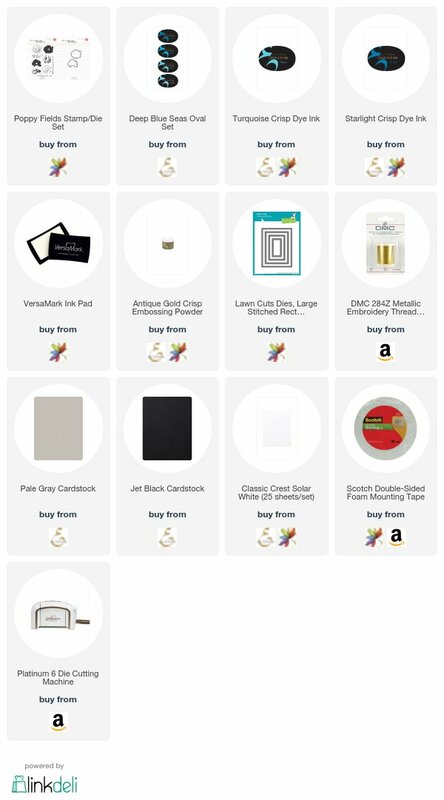 Giveaway closes on September 27th! Next stop on the hop is Julia! Make sure to stop by and leave some love! Please see below for full blog hop list. Those flowers look so amazing in blue. Well done! Lovely Blue Poppy BG Nicole! Gorgeous layering poppies in such a lovely shade of blue! Love your blue poppies, they look amazing. Thanks for the inspiration. Beuaitiful card and so lovely to see this gorgeous set used in a different colour. Oh Nicole….your blue poppies. I am speechless! What an amazing card! I never expected this. I’m in L♥VE!! Truly beautiful and unexpected, but the blue with the gold accents is just so elegant. Gorgeous card. 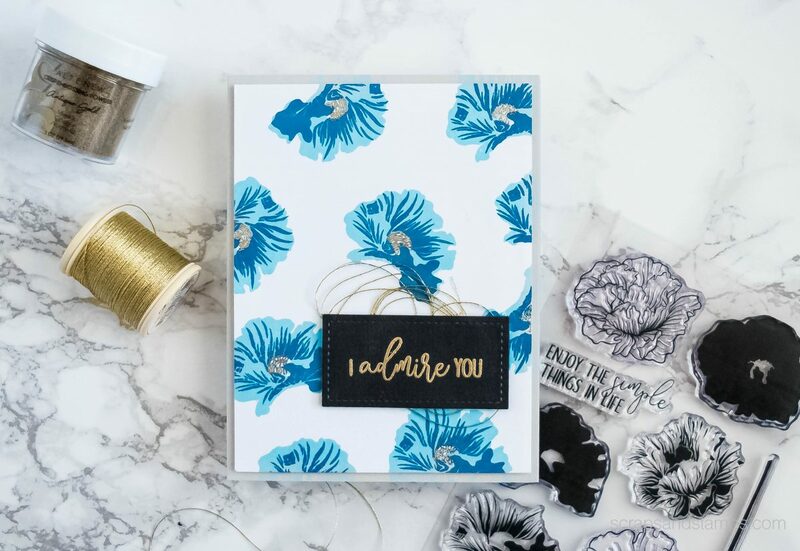 I absolutely LOVE these flowers in the blue tones you’ve used! Lovely, especially with that beautiful blue and gold! Beautiful card and I love the blue poppies! Great color choice for your poppies, Nicole! The added gold thread is just the right touch. Love it! Oh Nicole this is so pretty. I love the blue color on this card. Stunning sweetheart. I love the poppies in blue. Wonderful card. This is a really gorgeous card !! Oh you have made this look so easy. It’s a very classy card and I’d love LOve LOVE to try and recreate it. Thankyou so much for the chance to win this FANTASTICLY SUPERB PRIZE. Love your beautiful blue poppies. I love the poppies in blue! Nicole this is fabulous!! 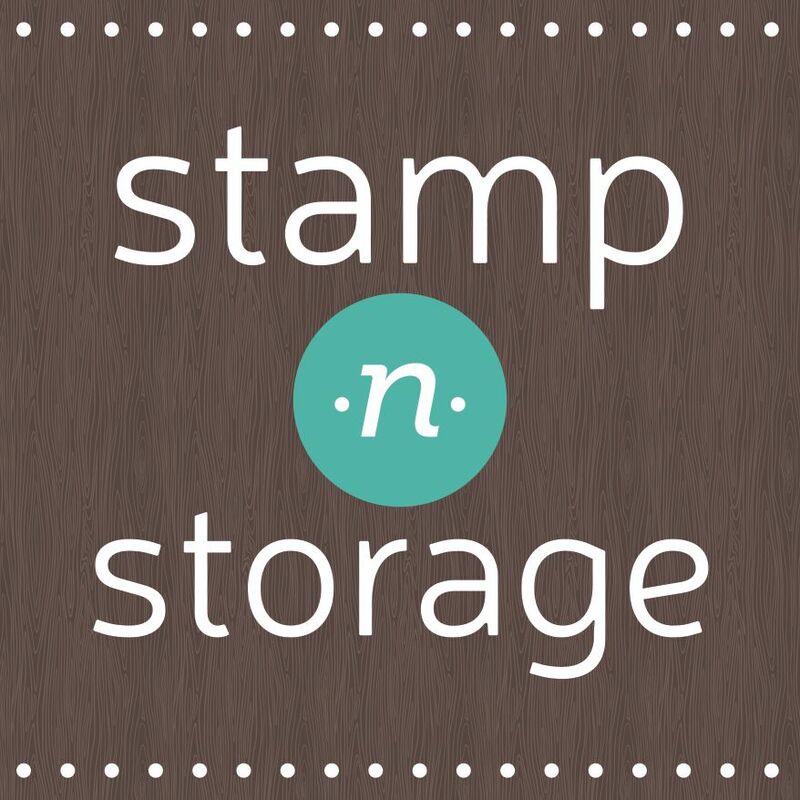 I love the colors you used and can’t wait to try them when the stamp arrives. Your design is gorgeous, Thank You!!! WOW Nicole, is this poppy ever pretty using these colours with the gold accents??? LOVE! Your flowers are beautiful and you bold sentiment is awesome! Love that look! Very pretty poppies in shades of blue with the touch of gold. Love these stamps. Fresh, unique and detailed. so pretty in the blue! I’m a fan of the blue and gold color scheme! Love the flowers colored blue. Wow! Gorgeous and in blue, just stunning! Wow! That’s a different take! And the flowers look awesome in blue!! BEAUTIFUL! I love your beautiful poppy background! I LOVE those blue poppies! Such a beautiful and versatile set. I love the way you used the stamp to compose the background! Lovely! What a beautiful card. The more I look at it the more details I see you put it in. Such a great card and absolutely perfect colour combo! Wow! Those poppies look so cool in blue!! 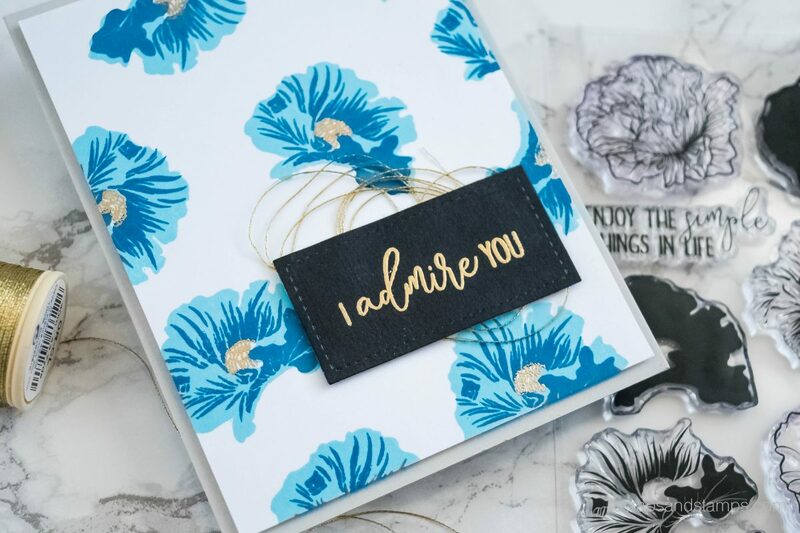 And I love the mix of fonts in the sentiment and the touches of gold you added to your design! Beautiful! I love the colors you chose. The Poppy Fields set is beautiful and the sentiments so nice. Beautiful card. Amazing stamp set. The colors you used are amazing! I love this card. the flowers are beautiful no matter what colors you use. Beautiful cards. Love the poppy’s! Lovely card and blue is my favourite color. Beautiful cards! Thank you for the lovely inspiration! These cards are so beautiful and the poppy stamp is so awesome! These poppies look wonderful in blue. Such a pretty card. How gorgeous! I love it!